Porsche Connect is an app that gives you the ability to stay connected with your Porsche vehicle remotely via your smartphone. With the Porsche Connect app, Los Altos drivers can perform certain actions while they’re away from their vehicle, including locking or unlocking the car doors. Learn more about this convenient app below! What Does Porsche Connect Do? 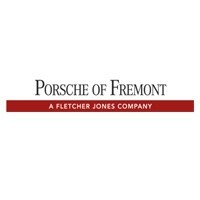 Porsche Connect includes Apple CarPlay, allowing Milpitas drivers to make calls handsfree and access their phone apps and music via Siri®, minimizing distractions on Menlo Park roads. The Porsche Connect app comes with a selection of features that help you plan out and prepare for certain aspects of upcoming trips, including routes, places to park, and more. With Car Control, drivers can check their vehicle’s status, including oil, fuel, and tire pressure levels, from their smartphones. In the event of a breakdown, Porsche connect gives drivers the ability to send their location and other relevant information to Porsche Assistance. The Porsche Vehicle Tracking System (PVTS) sends drivers a notification and report to a 24/7 Operating Center if your Porsche vehicle has been stolen. Does My Car Support Porsche Connect? Visit us at Porsche Fremont to test out this helpful feature in person! Want more information on the Porsche Car Connect subscription cost or the Porsche Connect Plus feature? Contact us today! One of our team members will be happy to answer any questions you may have. 0 comment(s) so far on What is Porsche Connect?